Tool Master Octa 2 is built in a solid construction cast iron base with a state of the art lower profile design . The best possible degree of precision is guaranteed by using the two guiding rails and carriages which is normally expected by more expensive competitor products . 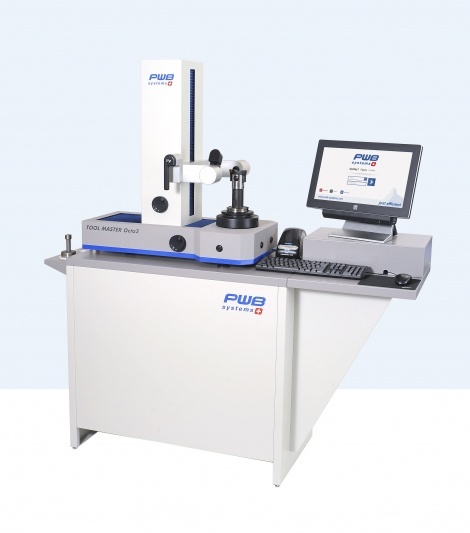 Standard needle bearing patented design ensures stable and accurate holding of your part for inspection by the outstanding precision Measurement system by Sylvac Swiss made . Air service axis locking system integrated into the base unit provides years of trouble free operation with minimal service requirement . A HiGrade professional PC with an integrated 19 inch touch screen guarantees accurate operation of the EyeRay imaging software designed inhouse by PWB Systems . LED ring light ensures accurate inspection.